After having sent my father off on his plane back to Chile and faced flight delays because of the snow in European airports, I have returned to Nairobi immediately to go on stage, taking part in a production of a delightfully British musical. 'Glamorous life' portrays the life and works of Welsh composer Ivor Novello who lived in the first half of the 20th century and produced popular hits during the first and second world wars. 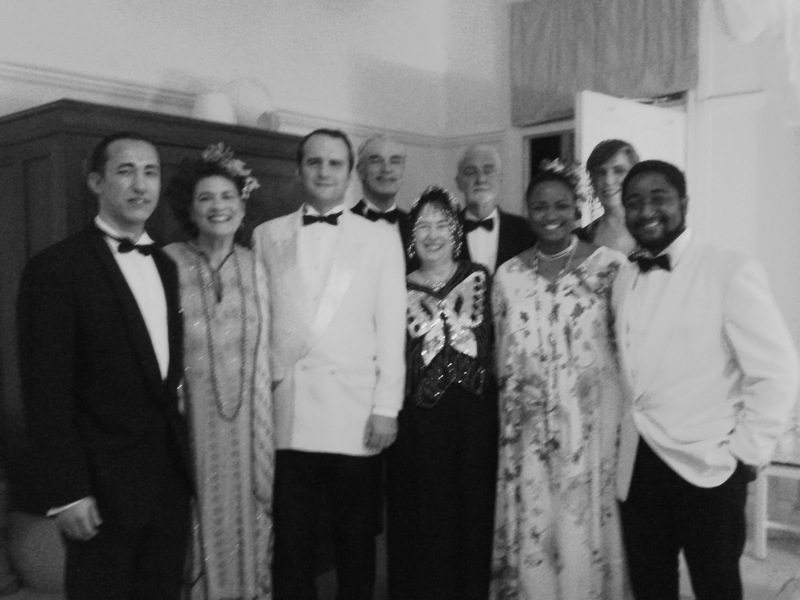 The cast is all dressed up for a dinner party during the 1920s in the first half and then during the 1940s in the second half. We play and sing deliciously old-fashioned and romantic music while our audience is having a three-course meal. Concentration was high before the show in the men's changing room last night - or was it everybody reflecting on the oddity of heavy snowfall in England in late March as broadcast on the television? We all had a great time on stage afterwards because the weather is fine here in Nairobi and Novello's music is so light-hearted it is difficult not to be happy when hearing it.